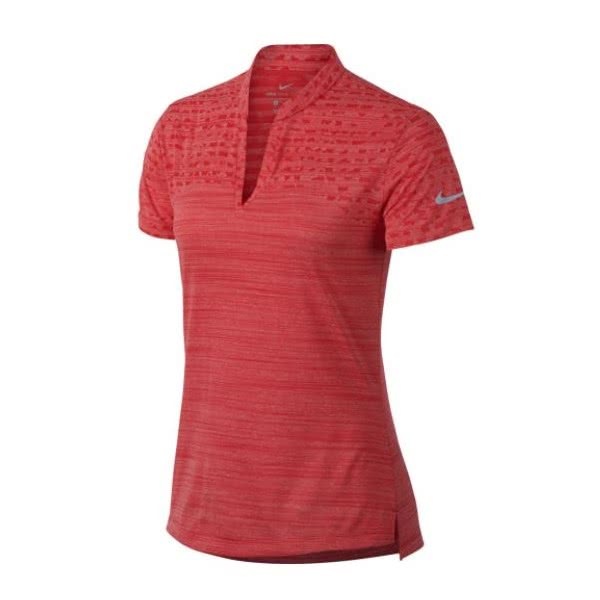 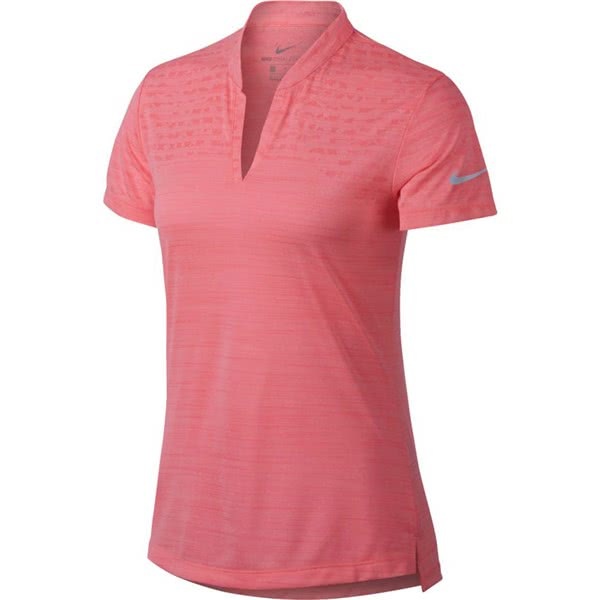 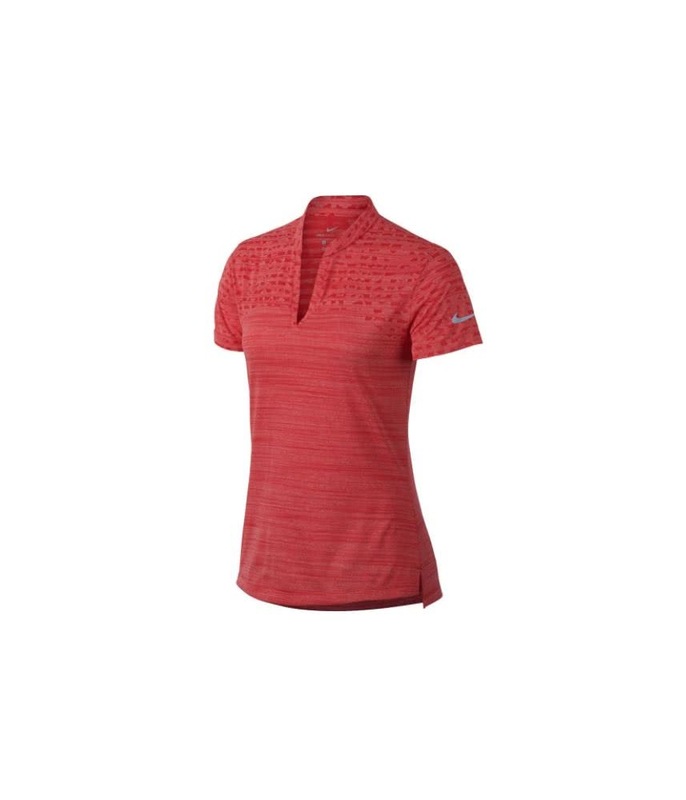 The Nike Ladies Zonal Cooling Golf polo shirt delivers a classic style with very modern, innovative fabric technologies for enhanced performance. 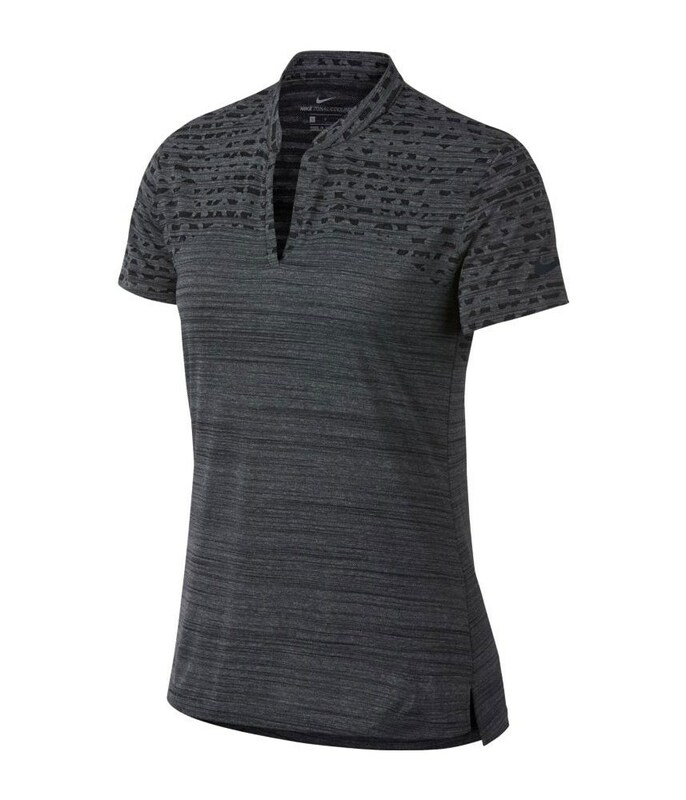 A feminine V-neck, a drop-tail hem and a set-in sleeve design provide a comfortable classic fit. 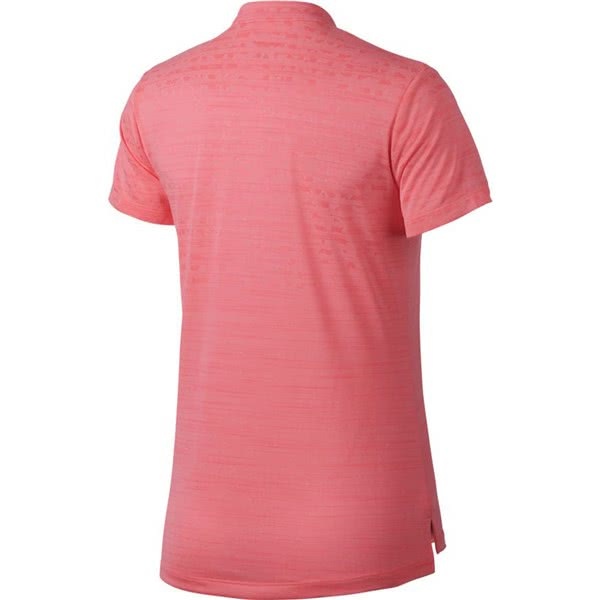 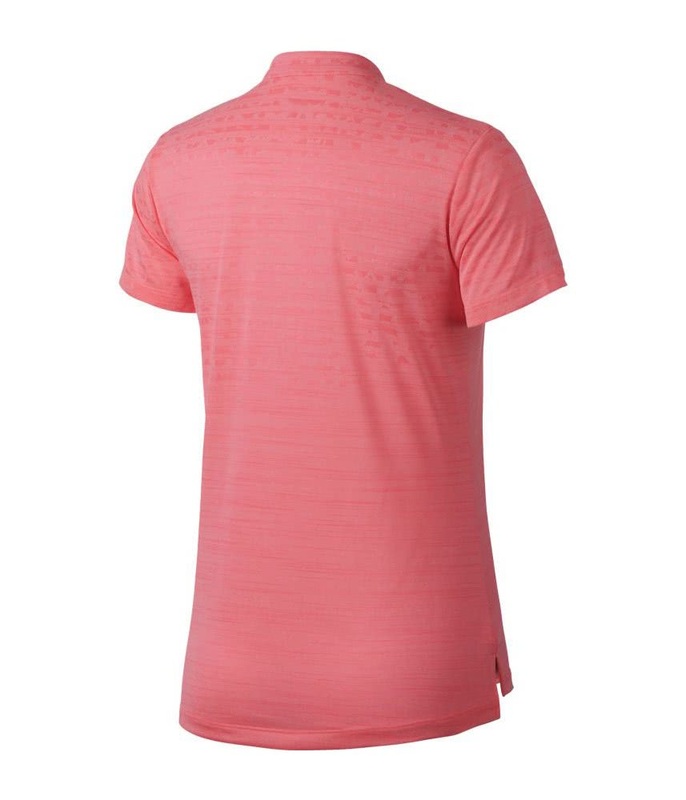 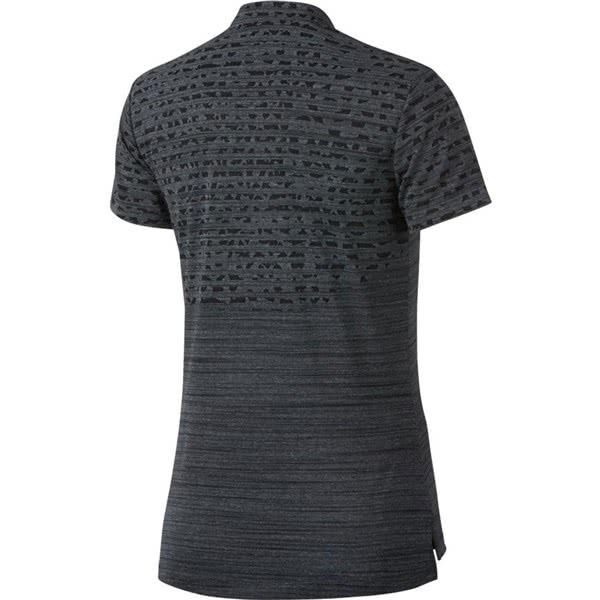 To provide the necessary performance needed to raise your golf Nike have used a combination of Dri-FIT and Zonal Cooling fabric technologies. 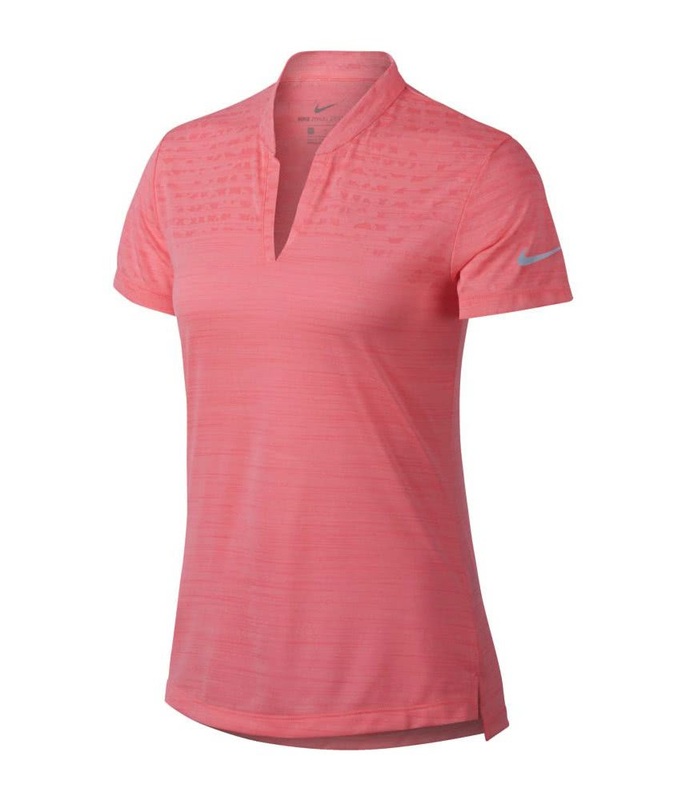 The combination of these technologies will provide enhanced breathable and moisture-wicking performance. 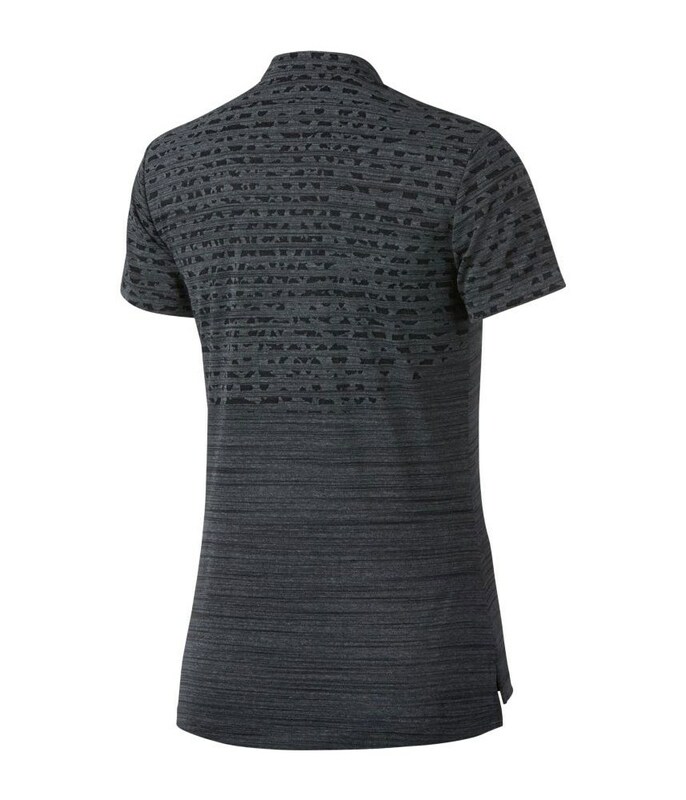 And Zonal Cooling areas have been used to increase the ventilation of the fabric. 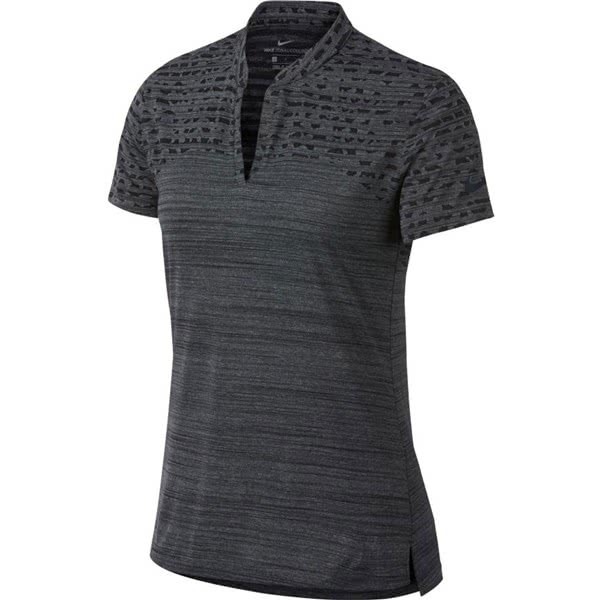 Feminine V-neck design features an updated polo collar.